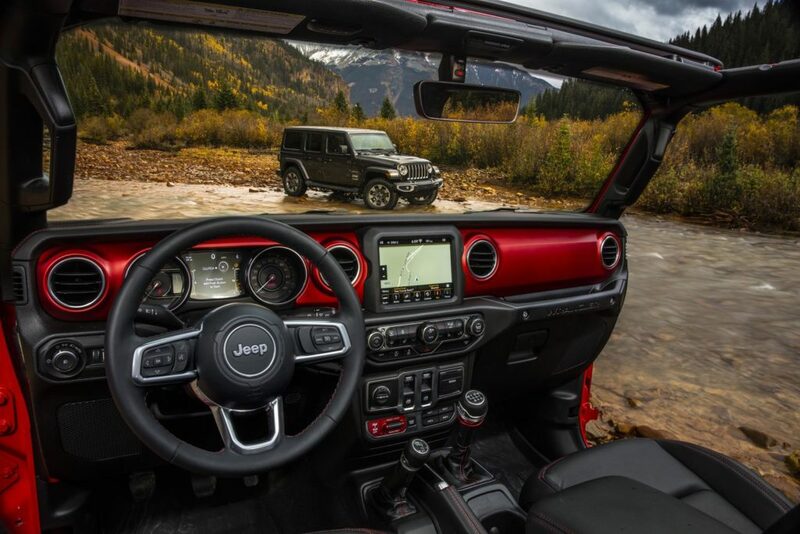 The Jeep Wrangler has always been an epic off-roader, if a little hard to live with on a daily basis. The all-new 2018 Wrangler claims to be more user friendly, while remaining as authentic and capable as the original. This year is turning out to be one of the most exciting we’ve ever experienced. 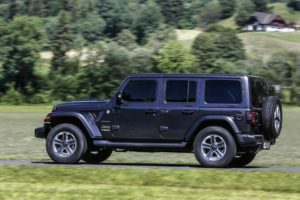 No fewer than three iconic vehicles (Wrangler, G-Class and Jimny) will be replaced and the first off the starting block as the oldest, perhaps most iconic off them all, the Jeep Wrangler. The Wrangler name has only been around since the late 80s, but the car it’s attached to has been around for quite some time. Both the Defender and the Land Cruiser were built because their respective nations decided they needed something similar, just in case somebody started eyeing someone else’s lebensraum again. Yes, it’s new from the ground up, except for the engines, but we’ll get to that in a bit. Before we start criticising Jeep for not doing more to differentiate the all-new Wrangler from the current model, let’s take a second to remind ourselves of what happened the last time Jeep decided to drastically change the appearance of its most recognisable model. The year was 1986 and Jeep wanted the all-new CJ (Civilian Jeep) to make and impact. So they changed the name from CJ to Wrangler and changed the headlights from round to square. Jeep fans were fine with the name change, but the square headlamps were a step too far. Were it any other car, customers would simply hold on to their existing car and mumble about how horrid the new model looked around the braai. But owning an icon isn’t like owning any other car. You don’t buy a piece of metal to get you where you want to go, but rather an entire lifestyle and everything that goes with it. You live the brand and defend it when some guy in a Jimny comes along and says that his wheel articulation is better. The square headlamps proved to be such a problem; it spawned an entire aftermarket business swapping those horrid square lights for the more socially acceptable round lights. With that in mind, why would Jeep change a design everyone seems to enjoy? And why take the risk? It would only result in strongly worded letters delivered the old fashioned way – via a brick through the window of Jeep’s head of design. Yes and no. It’s still a body on frame chassis setup, with five-link suspension front and rear. Engine wise there are three options available. 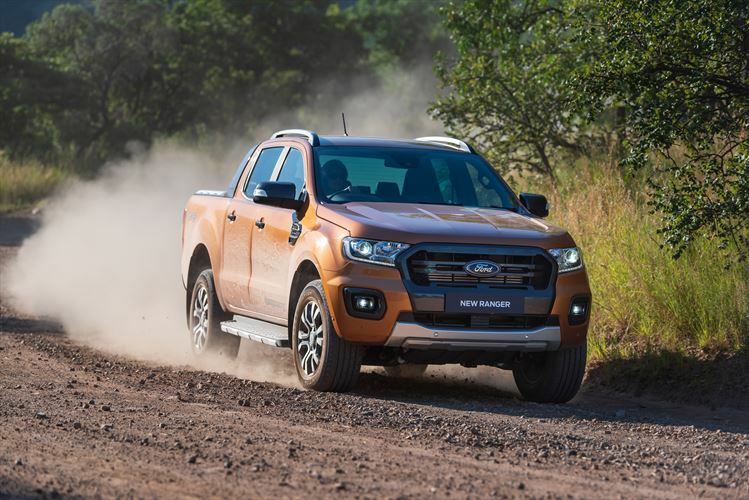 South Africa will be getting the tried and trusted 3.6-litre V6 with 209kW and 347Nm on tap. 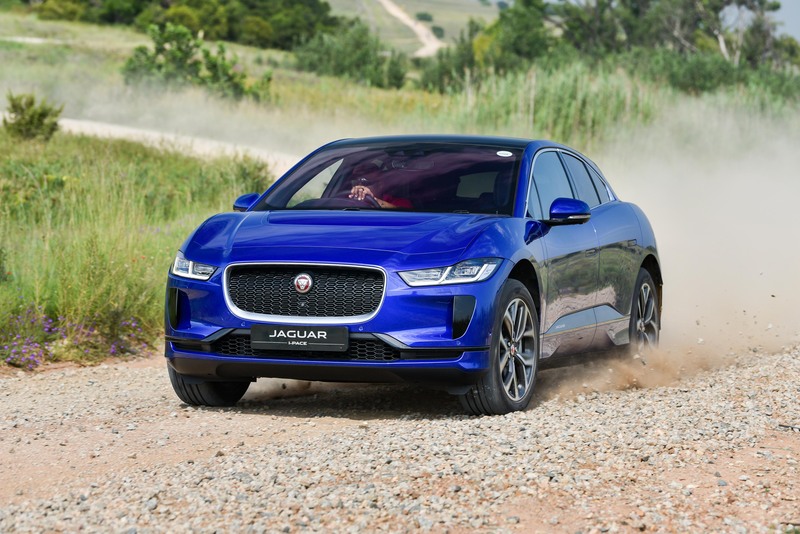 The old five-speed automatic gearbox will be dropped in favour of a new eight-speed automatic, which should have a positive effect on fuel consumption. It may be small improvement, but with the current Wrangler averaging 20l/100km, we’ll take what we can get. The other options are brand new. On the petrol front there’s a 2.0-litre turbocharged four cylinder developing 202kW and 400Nm, also mated to an eight-speed automatic. Compared to the naturally aspirated V6 it’s slightly down on power, but way up on torque. The main reason you should be interested in this particular model is the fuel consumption, which is 40% less compared to the old-school V6. Jeep hasn’t confirmed this engine for South Africa yet, but it might just be a possibility. Lastly, there’s an all-new 2.2-litre four-cylinder turbocharged diesel, which will not be made available here due to the quality of our fuel. It’s such a pity, because it suits the Wrangler perfectly. The 140kW and 450Nm is more than up to the task of powering the Wrangler. On the highway it sits happily at 140km/h, and in off-road conditions you simply feather the throttle to keep it at 2000rpm, where all of that torque is available. What’s it like on road? Our first driving session was spent solely on tar, in and around the Austrian town of Spielberg. The perfect place to assess the on-road dynamics of an infamously wide and unwieldy 4×4. It takes no more than a mile to realise that Jeep has gone to great lenghts to improve the driving experience and overall comfort. 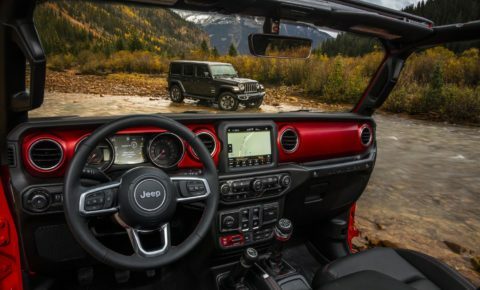 The steering wheel still remains more of a suggestion wheel than anything else, but the Wrangler never felt too wide or twitchy, which is a stellar achievement considering the compromises Jeep has to make in order for it to still do the things it can do off-road. 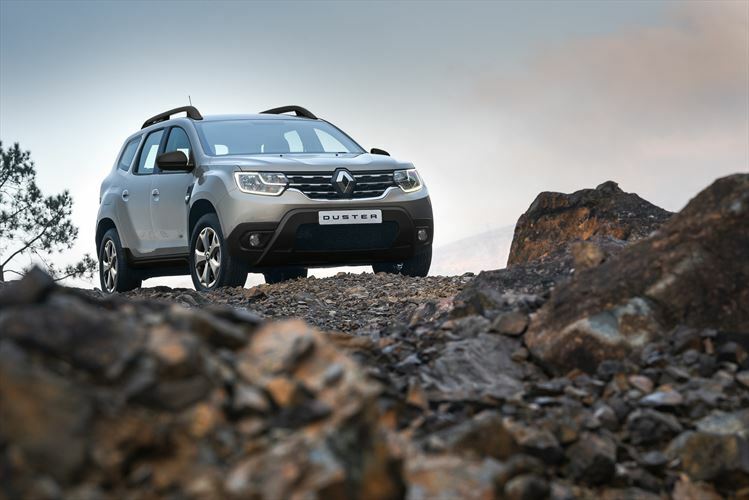 The new model is also equipped with a host of safety gadgets, including blind spot monitoring and rear cross path assist. Couple that with larger windows to improve visibility all round and you have a highly capable 4×4 that you could actually use and live with on a daily basis. The interior is another step in the right direction. It feels familiar, but is equipped with everything the modern driver expects. The quality of the materials is a highlight, as is the 8.4-inch touch-screen interface on the centre console and the seven-inch TFT full-colour instrument cluster display. Integrated buttons on the steering wheel control audio, voice, and speed functions and allow the driver to keep their hands on the wheel at all times. Jeep’s fourth-generation Uconnect system is a joy to use, as it’s faster and more intuitive than ever before. Directly below the touchscreen you’ll find functional features such as climate and volume control knobs and media connectivity ports. Two USB ports up front and two in reach of occupants in the back seat connect to the media center. Standard 12-volt accessory outlets are located throughout. Is it still as good off-road? Was there ever any chance that it wouldn’t be? There are two flavours of Wrangler available – Sahara and Rubicon. The Sahara comes as standard with the Command-Trac four-wheel drive system, which features a two-speed transfer case with a 2.72:1 low-range gear ratio, heavy-duty next-generation Dana front and rear axles with 3.45 rear axle ratio for the petrol version, and 3.73 for the diesel versions. The driver can select between 2H, 4H, 4L and the all-new 4Auto mode. In 4Auto it’s basically in 2H, but it can engage the front axle if it detects a loss of traction. A limited-slip rear differential is available as an option. 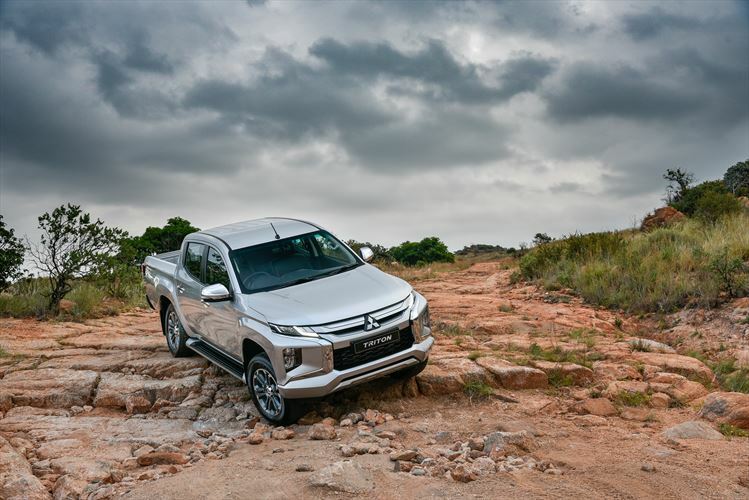 All of the above make it a highly capable off-roader, which should serve the needs of most people. The Rubicon, as Jeep fans will know, is the boss. The Rubicon is equipped with Jeep’s Rock-Track 4×4 system, featuring a two-speed transfer case with 4.0:1 low-range gear ratio and front and rear heavy-duty next-generation Dana 44 axles and Tru-Lok electric front- and rear-axle lockers to tackle the most extreme off-road trails. Rubicon models also offer added articulation and total suspension travel with help from an electronic sway-bar disconnect. This system allows drivers to disconnect the front sway bar to deliver additional wheel travel. We drove both the Rubicon and Sahara up a fairly big mountain, through water and some deep mud. There were sections designed specifically for the Rubicon, where we could test the articulation with the sway bar disconnected and the rear differential locked, but they proved no match for the Rubicon. What seemed like at least a grade four trail, smattered with sticky mud, proved to be nothing more than a mere hindrance to the Rubicon. Maintaining forward momentum required a steady 2000rpm and some steering input, while the car did the rest. The toughest obstacle was a series of eight dongas, designed specifically to showcase the Wrangler’s impressive articulation. These dongas were muddy, deep and slippery after a few days of abuse, but the Wrangler soldiered through without any hassle. It felt slightly underwhelming, as if we were merely toying around with the car. That’s not the car’s fault, but rather an observation on how capable it is. To test the Rubicon on the limit would require something extreme and slightly insane, which we hope to do when it arrives here in the fourth quarter of 2018. As you might know, a standard Wrangler is a rare beast. Even if it’s just a sticker with the car’s name on the boot, chances are this car will be modified at some point in its life. Most manufacturers would prefer owners to stay away from modifications, but Jeep actively encourages it. A standard Rubicon, for example, can be fitted with 35-inch tyres without any modification to the body or suspension necessary. The gearbox can also take the added stress, which means the warranty stays intact. The Rubicon is also equipped with four nifty aux switches, located next to the lever for the differential locks. Jeep says it took note of the main accessories added to Wranglers and it wanted to make life easier by adding these switches to be used at the owner’s discretion. That means no more hunting for a space to fit an ugly aftermarket switch to operate spotlights, winches or compressors. 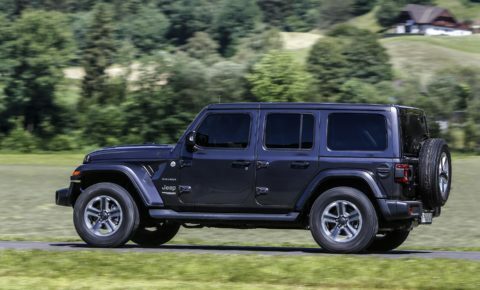 If you’re already a Wrangler fan, you’ll love the new model. Perhaps you always wanted one, but were too afraid because it may be too tricky to drive in town, or too much of a hassle on a long haul drive. Jeep fixed all these problems by making the Wrangler easier to live with without compromising its off-road ability or authenticity. Like every CJ or Wrangler before it (okay, maybe not the YJ) the all-new Wrangler is a worthy successor to the original icon. Driving aids: Traction control, stability control, hill descent control. 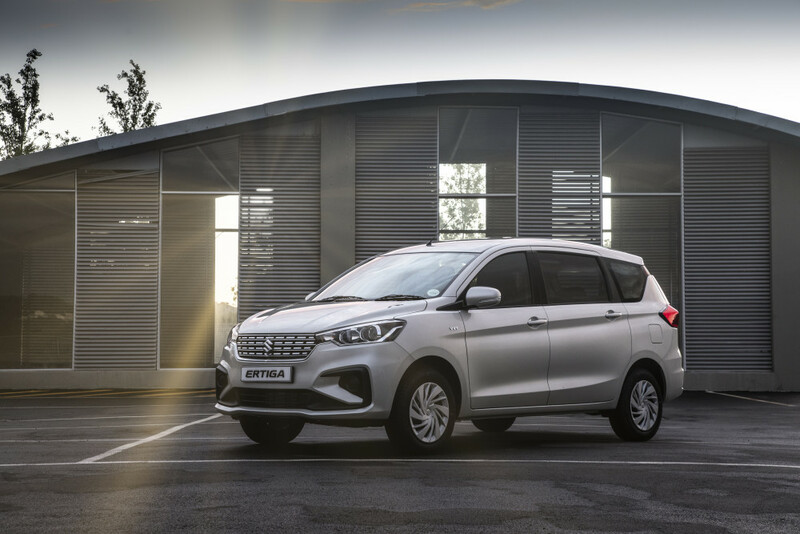 Due in South Africa: Fourth quarter of 2018.